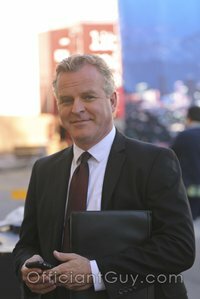 Photo taken by wedding officiant in Los Angeles, Chris Robinson also known as Officiant Guy who helps couples with an LA County marriage and issues marriage licenses as well. Their fastidious staff is made up of professionals whose job is to help you relax and enjoy your special occasion. 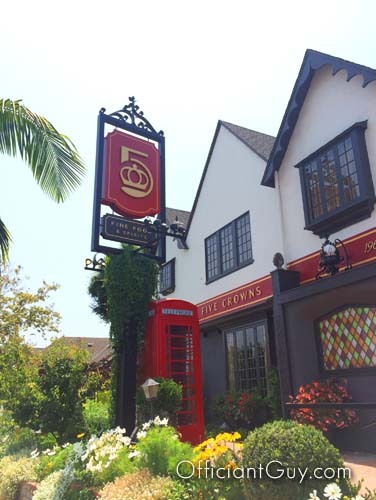 Five Crowns is close to many of Newport Beach’s best hotels. They will help you organize your wedding to make sure every detail is perfect. 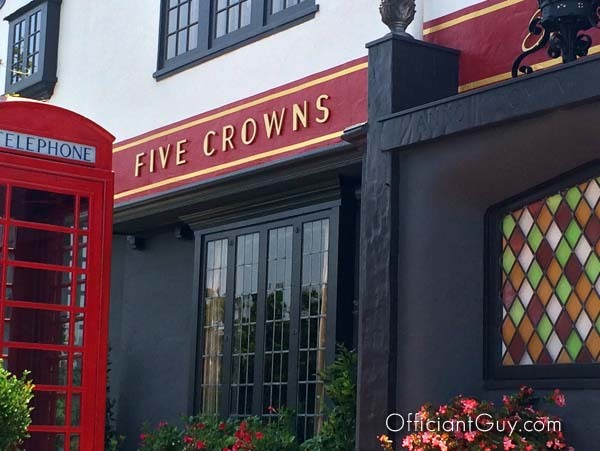 With elegant dining rooms that can contain a combined amount of 294 guests, Five Crowns is a great place for an intimate wedding experience. 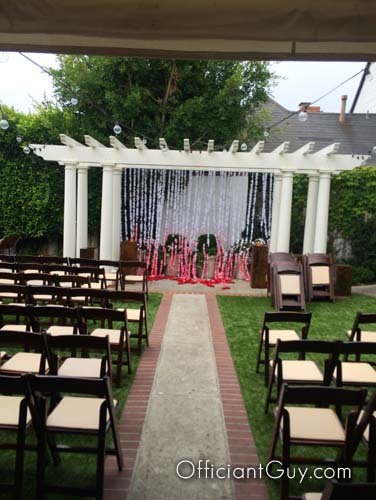 Chris Robinson is a Los Angeles nondenominational wedding officiant. He has been officiating weddings and providing wedding licenses for over 20 years. 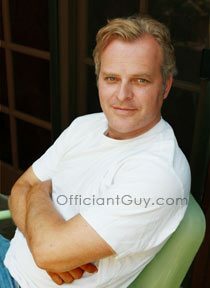 Officiant Guy could officiate any kind of marriage ceremony from a religious wedding to a nonreligious wedding with possible additions from wedding broom ceremonies to vow renewal ceremonies. If you want to get married throughout Los Angeles County to Riverside County to Orange County California give the number one officiant for weddings in Los Angeles County a telephone call at (310) 882-5039 or (562) 547-3255 or fill out the contact form.